The holiday baking season is here and I’ll be the first to admit that I’ve been a little intimidated in the past about baking with yeast. And I’m sure I’m no the only one. In fact, when I explained to Heather what I was making, she said, “Goodness, it even makes me nervous having that stuff in the pantry.” So, I know there are others out there with the same fear. But honestly, it’s nothing to be afraid of. 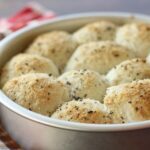 Cooking with yeast is super simple when you follow a few simple guidelines and you’ll get amazing rise and flavor in your baked goods like never before. 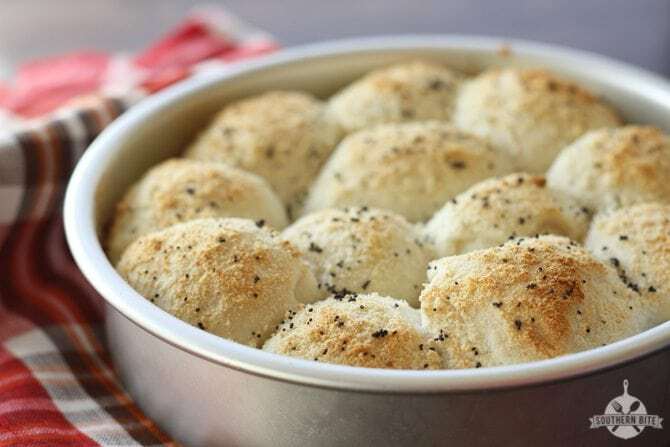 Take these Easy Garlic Parmesan Rolls for example. I found the basic recipe on Fleishmann’s® Yeast Bread World website and just jazzed it up a bit and my family LOVED them! 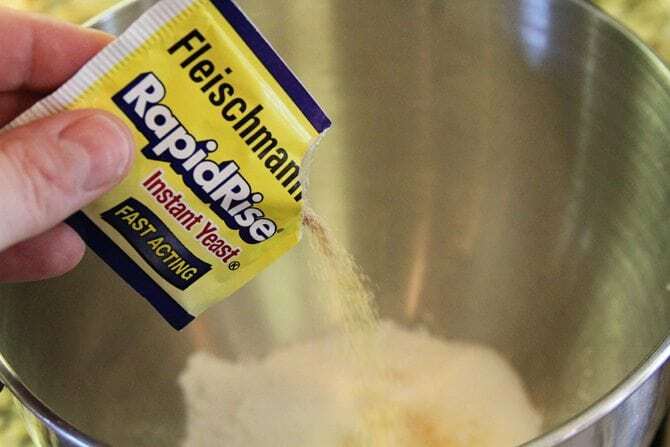 One great thing about using Fleischmann’s® RapidRise® Yeast is there’s no reason to worry about having to bloom the yeast first. With this, you just mix it right in and the warm water you add gets it all going. 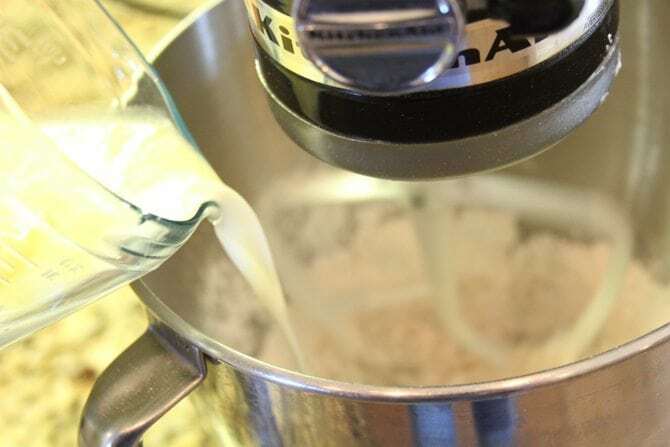 So, to get things started, we simply combine 3/4 cup flour, sugar, dry yeast, salt, and garlic powder in the bowl of a stand mixer and mix well. You can also do this in a large bowl and stir by hand if you don’t have a stand mixer. Next we’re going to combine the milk, water, and butter in a small microwave-safe bowl. Microwave it on high for 15-second intervals until the mixture is very warm but not hot to the touch. The butter probably won’t be melted all the way, but that’s okay. 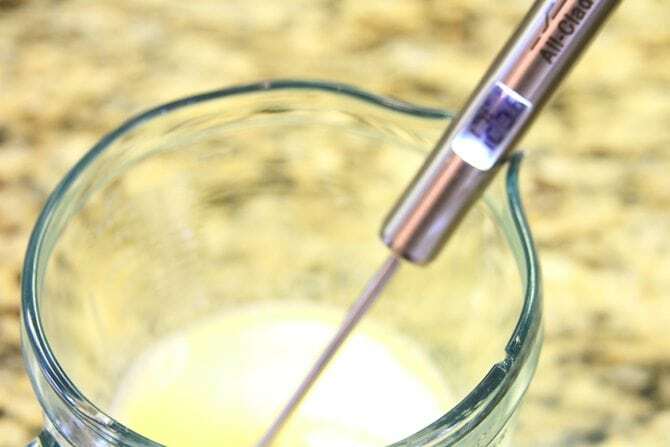 The mixture should be between 120° and 130°. One thing that I learned in the process was to ensure that your water is the right temperature. 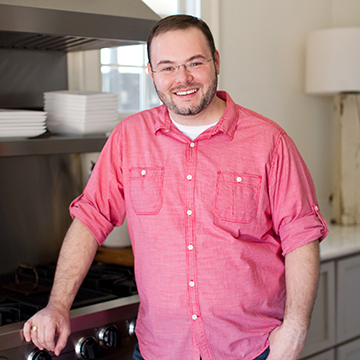 It might require a food thermometer but you need one of those in your kitchen anyway. If the water get’s too hot (like over 140°) it will kill the yeast. And Lord knows we don’t want to have to deal with a bunch of dead yeast. Sheesh! Slowly add the warm mixture to the flour and beat for 2 minutes on medium speed in the stand mixer or with a hand mixer. Scrape the bowl every now and then to ensure everything gets mixed well. Next, add 1/4 cup flour, then beat for 2 more minutes. 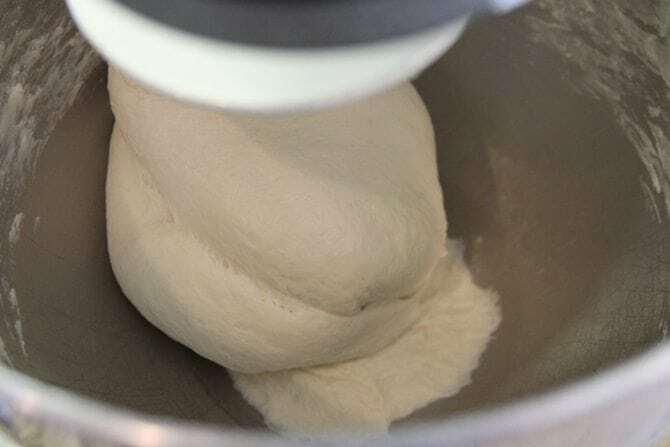 Continue adding flour by 1/4 cup amounts until the dough forms into a ball. I found that I needed a total of about 2 1/4 cups of flour to get to that stage. Next, you’ll need to kneed (See what I did there? NEED to KNEAD I kill myself.) the dough on slightly floured surface until it is smooth and elastic and springs back when lightly pressed. This usually takes 6 to 8 minutes. I actually followed the video instructions on their website to do my kneading in my stand mixer. Just switch out the paddle blade for the dough hook and knead until the dough has become elastic and smooth. Cover the dough with a clean towel and allow it to rest for about 10 minutes. Cut the dough into 12 equal pieces. I found the easiest way was to cut the dough in quarters and then cut each quarter into 3 pieces that way my pieces would be as even as possible. 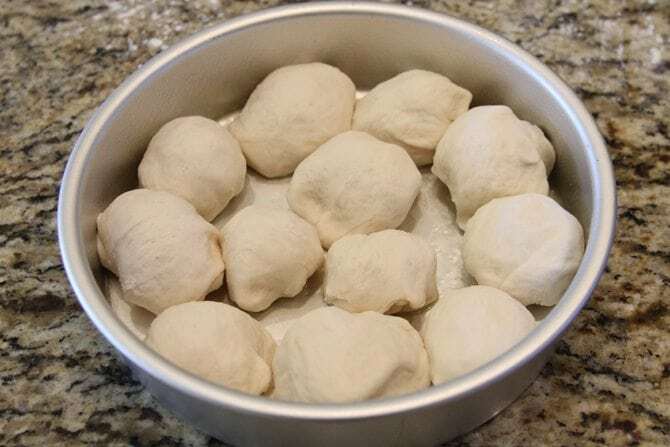 Next, roll the dough into balls and place them in a greased 8-inch round or square pan. 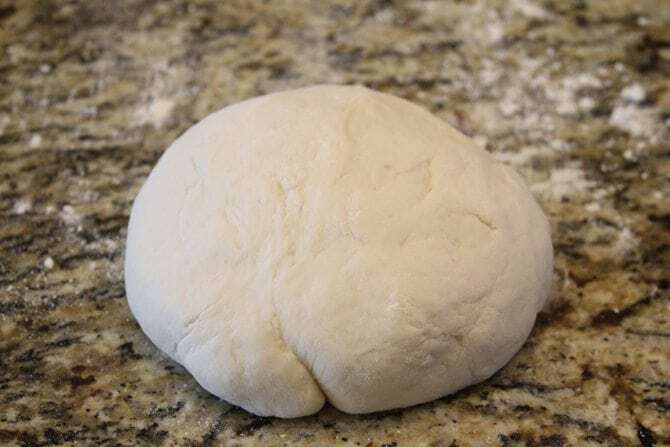 Cover the dough with a towel and allow it to rise in a warm place for about 30 minutes or until doubled in size. Once the dough has risen, melt the additional butter in a small microwave-safe bowl. 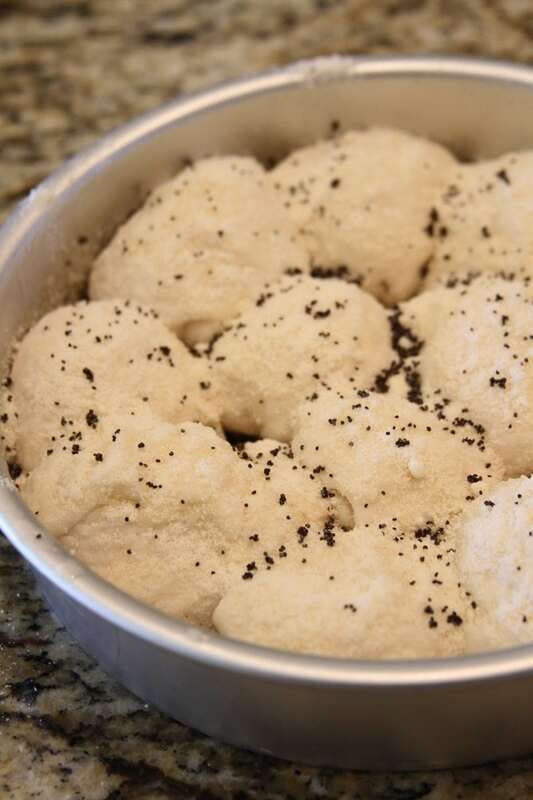 Gently brush it over the dough and then sprinkle with the Parmesan cheese and poppy seeds. Bake in a 375° oven for about 20 minutes or until golden brown. Now, see how easy that was!?!? Combine 3/4 cup flour, sugar, dry yeast, salt, and garlic powder in a large mixer bowl and stir until blended. 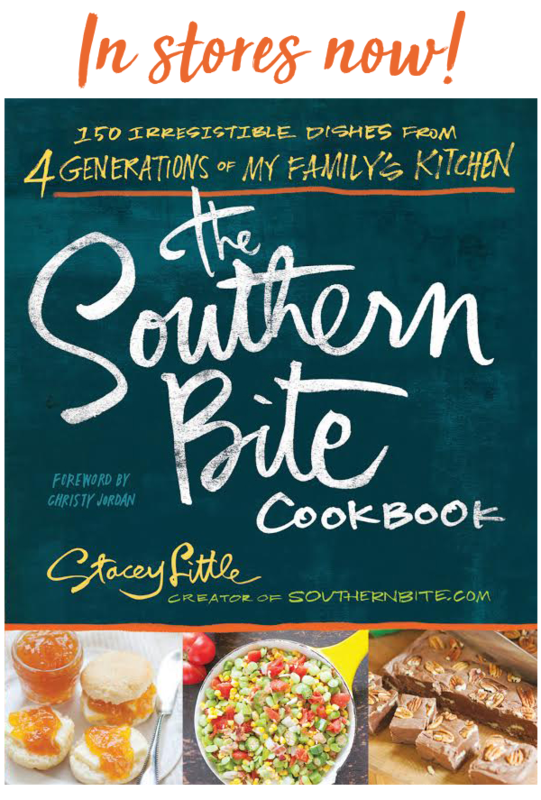 Combine milk, water and 2 tablespoons of the butter in a small microwave-safe bowl. Microwave on HIGH in 15 second increments until very warm but not hot to the touch (120° to 130°F. Butter won’t melt completely). Add to flour mixture. 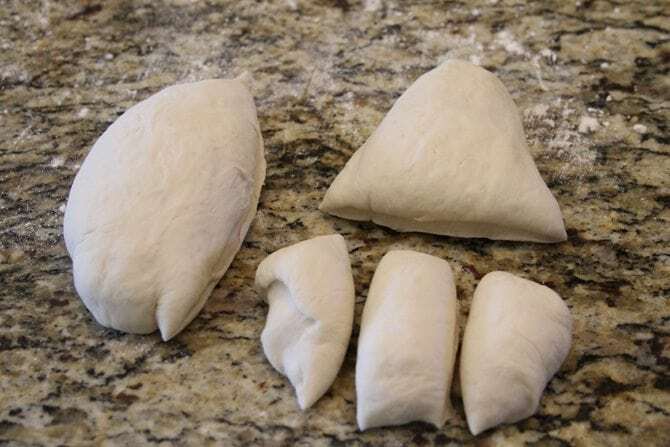 Cut dough into 12 equal pieces; shape into balls using your hands. Place in greased 8-inch round or square pan. Cover with towel; let rise in warm place until doubled in size, about 30 minutes. Once risen, melt the remaining tablespoon of butter in a microwave-safe bowl. 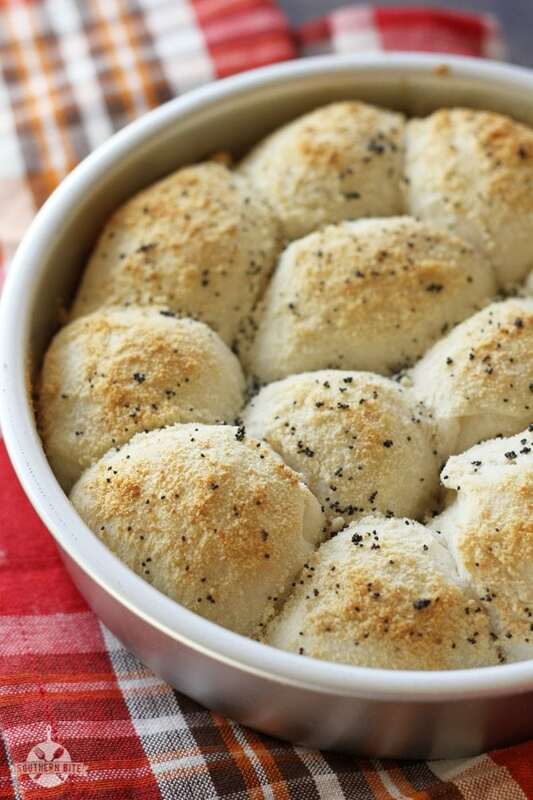 Brush it lightly over the dough and sprinkle with the Parmesan cheese and poppy seeds. Bake in preheated 375ºF oven for 20 minutes or until golden brown. Remove from pan by running a knife around the edges and invert onto wire rack; brush with additional melted butter, if desired. Serve warm.